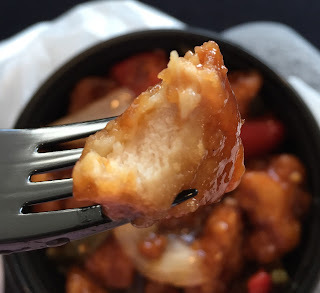 Panda Express is a well-known American Chinese fast food chain founded in 1983 in California and now the chain has more than 1,900 locations. 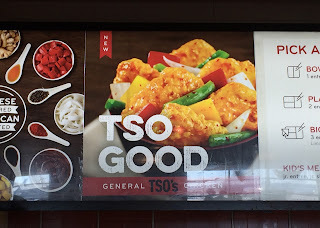 General Tso's Chicken is a fried chicken tossed in a tangy orange flavored sweet-sour sauce, that is often said that the master chef Mr. T.T. Wang at Shun Lee Palace invented. From August 20 to December 27, 2016, Panda Express is serving General Tso's Chicken at all locations to pay homage to the everyone-knows dish that appeared in the 1970s. 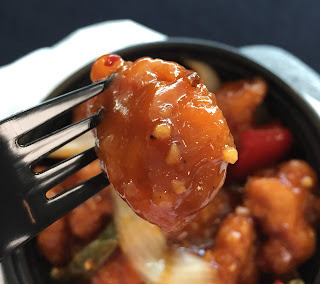 On the special page, you can watch 4 short videos to learn how the General Tso's Chicken has been invented. I landed at JFK yesterday and decided to get this new and limited time menu in Terminal 4. "TSO GOOD" is a pun of "SO GOOD." I was just interested in trying General Tso's Chicken, so I got the smallest meal that is a bowl. 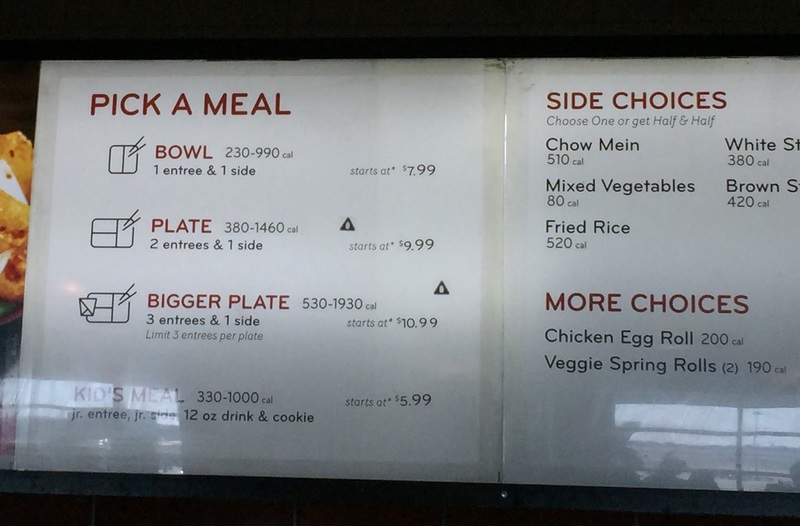 With the bowl, I could choose one side and I got rice, which was somehow fried rice. 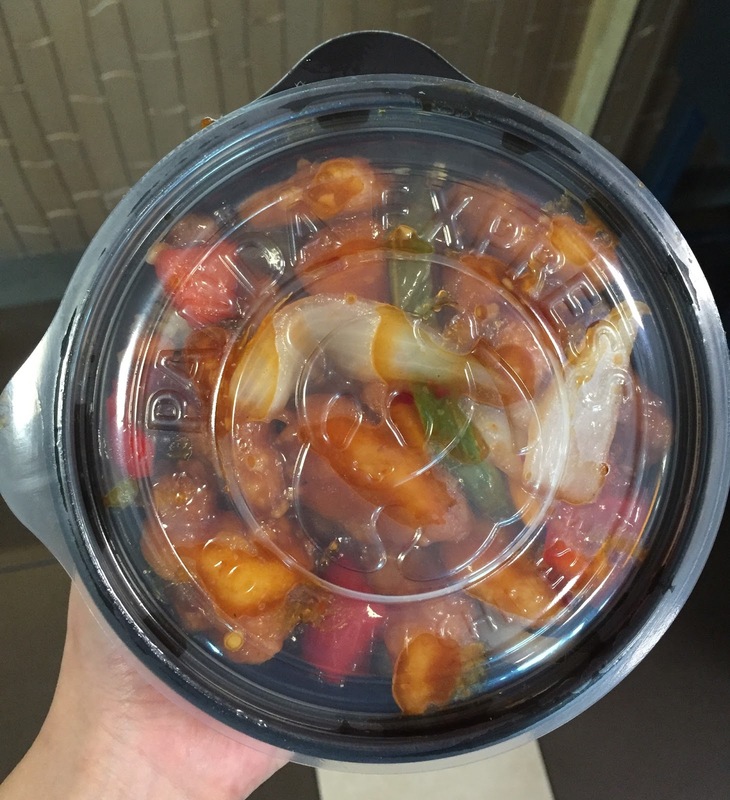 The contents were lots and they reached the plastic lid with Panda Express logo. Chickens and vegetables were shining with the sweet-sour sauce. There're fried chicken, onions, red and yellow bell peppers and string beans. It had sweet-sour orange scent, and there're some seeds that could have been from bell pepper or hot pepper. 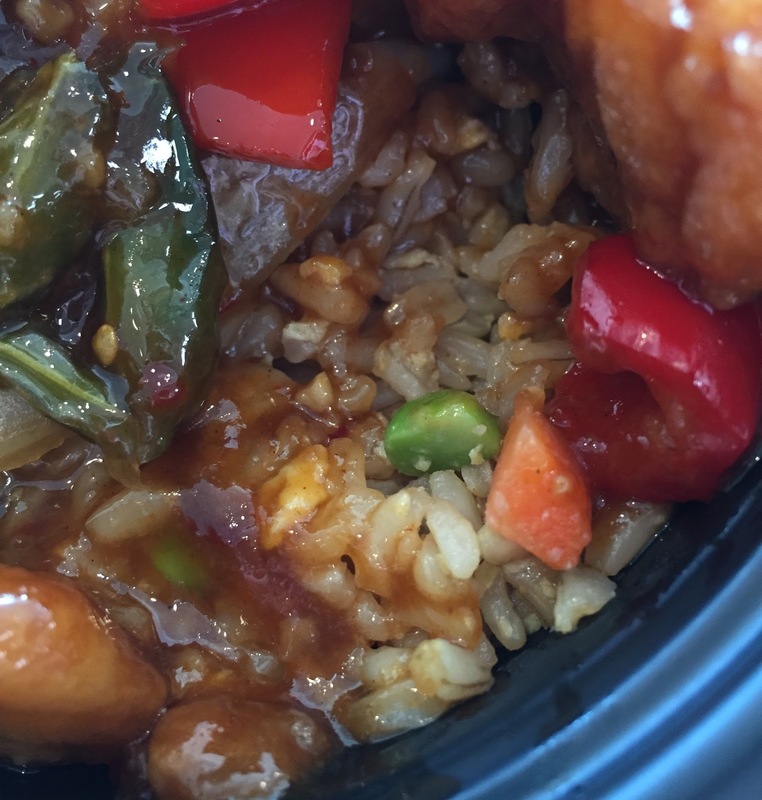 The tiny red pieces are hot peppers. The flour batter was thick and all the chickens were white meat. The batter caught the sauce well and the meat was moist. It had fruity orange flavor and vinegarish sourness, and also it had mild tanginess. It's spicier than I had thought, and the sourness helped the fried chicken taste not too heavy. The fried rice had green beans, carrots and eggs, and the rice was separated (not sticky). 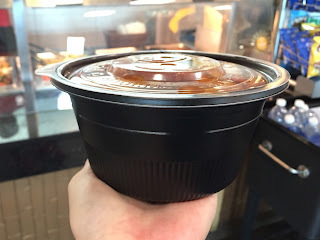 I really liked their General Tso's Chicken and I'll definitely get it again while the supplies last.